Nicklaus Black, one of the new Nicklaus Golf Balls introduced last month, will be put into competitive play for the first time this weekend when Jack Nicklaus and son Gary compete in the 16th PNC Father/Son Challenge. The Nicklauses highlight the 20-team field of golf legends—all of whom have won major championships to qualify for the event—and their sons (or daughters), where a $1 million prize purse and the Willie Park Trophy is on the line. 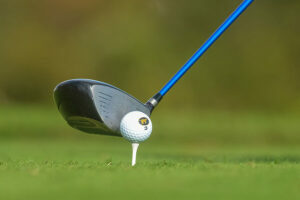 The 36-hole scramble-format is being played at The Ritz-Carlton Golf Club, Orlando, Grande Lakes in Florida. The Golden Bear, who teamed with Gary in 1999 to win the Father/Son, has been practicing the last week and has chosen the Nicklaus Black to take into competition. Gary, who played three years on the PGA TOUR (2000-02) before retiring from competitive professional golf and regaining his amateur playing status in 2007, will also play the Nicklaus Black. Nicklaus Black is one of three golf balls—Nicklaus Blue and Nicklaus White being the others—that were designed to accommodate three skill levels of player, using the traditional tees from which they typically play. Nicklaus White is designed for golfers who might typically play the forward or white tees. Nicklaus Blue is designed for golfers who would typically play the middle or blue tees. And, finally, Nicklaus Black is designed for the single-digit or better golfer who generally plays from the back tees. The balls are available exclusively online at www.nicklaus.com and soon through golf/pro shops at the more than 200 Nicklaus Design courses nationwide. A percentage from every golf ball sold will be donated directly back to the Nicklaus Children’s Health Care Foundation to support pediatric programs and hospitals nationwide, while visitors to nicklaus.com also have the ability to support the Foundation with voluntary contributions. In the first two months of orders, more than 80 percent of consumers have made a donation. The Father/Son Challenge Pro-Am, in which Jack and Gary are playing, airs Friday on the Golf Channel at 4:00 and 9:30 p.m. ET. The two-day, 36-hole tournament airs both Saturday and Sunday from 2:00 to 4:00 p.m. on the Golf Channel and 4:00 to 6:00 p.m. on NBC. Golf Channel will re-air the event at 9:30 p.m. ET each night. 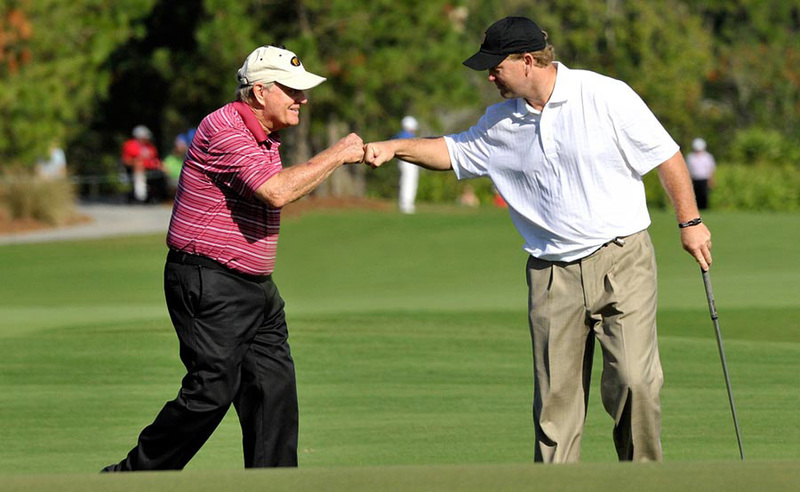 The PNC Father/Son Challenge boasts a field that has accumulated a total of 430 victories across the PGA and European tours, including 64 professional major championships—the Golden Bear leading the way with a record 18, as part of his 120 professional tournament victories. Jack Nicklaus is one of only five golfers—Gene Sarazen, Ben Hogan, Gary Player, and Tiger Woods the others—who have won all four of golf’s modern majors, an achievement often referred to as the career “Grand Slam.” Jack remains the only player to have completed the career Grand Slam on both the regular and senior tours. His eight majors on the senior circuit, now called the Champions Tour, remains a record. To learn more about Jack Nicklaus and the new line of Nicklaus Golf Balls, visit www.nicklaus.com.